Wikki Stix takes a video game offline to challenge your own kids to create a game maze that will enhance math skills, too. Kids can step away from screens, have fun creating a no-tech video game maze, and then challenge friends to play along. Printable Game Cards – print your free game cards here. Prior to the game maze construction, have kids brainstorm a Pac-Man inspired maze with a START point and an END point. Kids can draw their maze idea on paper to get a visual on aspects of the design that work or “parts that” may need altered. Kids should then use Wikki Stix to construct the video game maze on the paper. If kids wish to change the initial video game maze design, Wikki Stix is easily lifted from the paper for final alterations. The maze is fun for small groups to design and create together, too. Kids can use poster board if a larger maze design area is needed. Invite your kids to make the video game “balls” with cut pieces of Wikki Stix (kids will need to create many balls for use with the math games below). The balls can lead anywhere within the video game maze designs. Kids may wish to be a bit “tricky” and place the Wikki Stix created balls inside areas that have no exits or lead to dead ends within the maze. Kids should create one (or more) “monster” to reside within the no-tech video game maze. 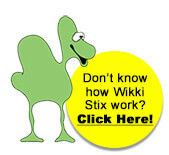 The monster(s) can be created however kids desire with Wikki Stix. Some of our kids made monsters from Wikki Stix spirals, some kids added a “ghostly” shape with features, and some made larger Wikki Stix balls for their maze game monsters. When the no-tech video game maze is completed, kids need to design a Pac-Man inspired creature to play the math game below. Print and laminate as many sets of game cards as needed for the number of players. Cut out each of the numbered and the monster cards. Addition: kids should draw one card and use the Pac-Man inspired creature to “eat” the corresponding number of balls to navigate the way to the exit within the maze. Balls should be taken off the maze and set aside. Subtraction: kids should draw two cards, subtract, and “eat” the corresponding number of balls in the maze, and then set them aside. If a player draws a monster card, no balls can be “eaten” on that round. The first player to “eat” his way through the maze and find the exit is declared the winner. If desired, offer kids small prizes for the “best in maze design”, the official game winner, or the best monster creations. The Wikki Stix no-tech video game math maze is fun to design and create, yet it will build important math skills in game play, too. 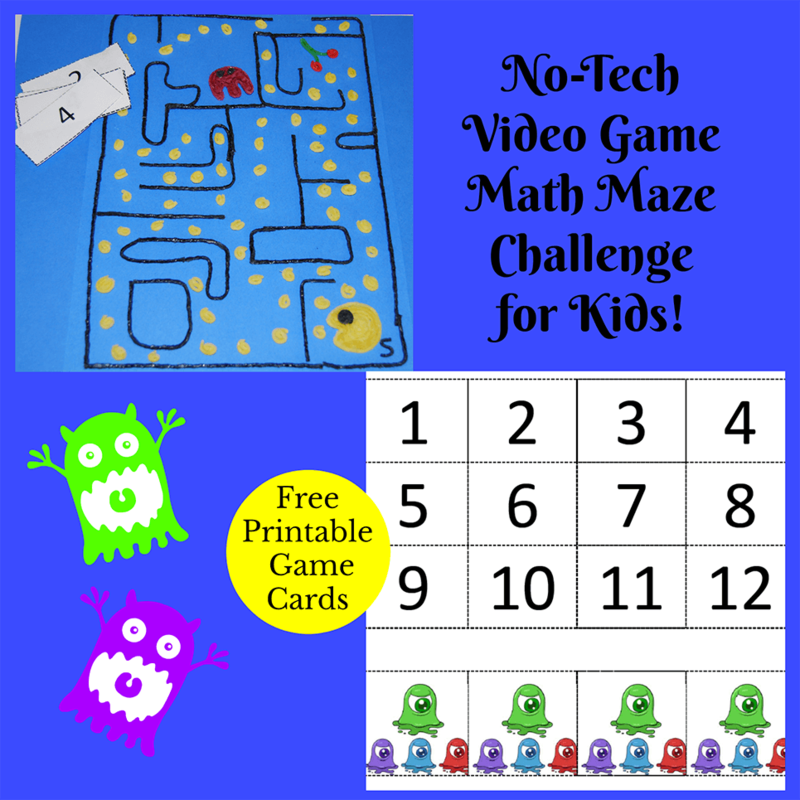 If your kids (at home or in the classroom) try the video game math maze challenge, we’d love to see your own math maze game constructions!